I think we all deserve a nice gift to ourselves. Maybe a good time to snap up that course you were looking at? Click on the picture to go straight to their site. P.S. I have been making things but it is for gifts so I will reveal what I have been doing on Boxing Day. 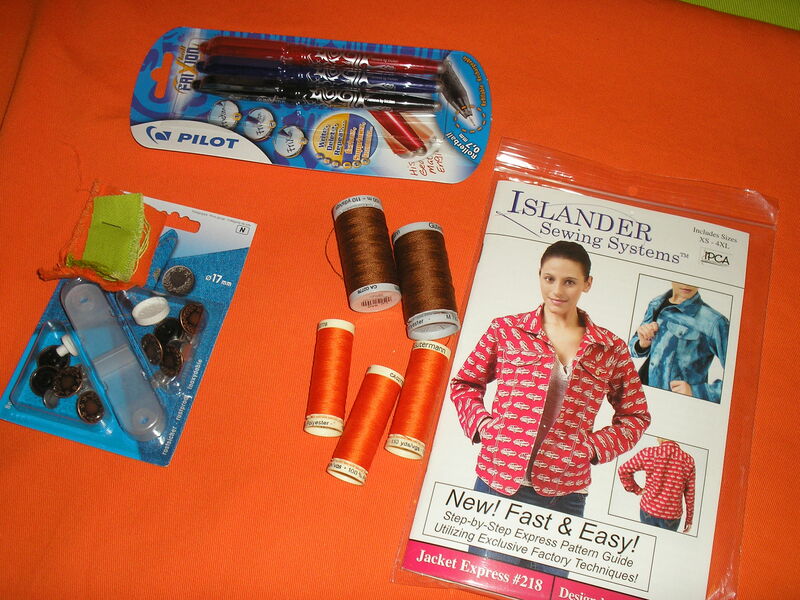 Islander Jacket Express – Finished! Hurrah I hear you cry! About time – Hood has finished her jacket. Yes, this has taken far longer than it should have – but I am pretty happy with the result. It would be good to know how long it took to actually sew it, rather than how long it has taken because of life getting in the way. 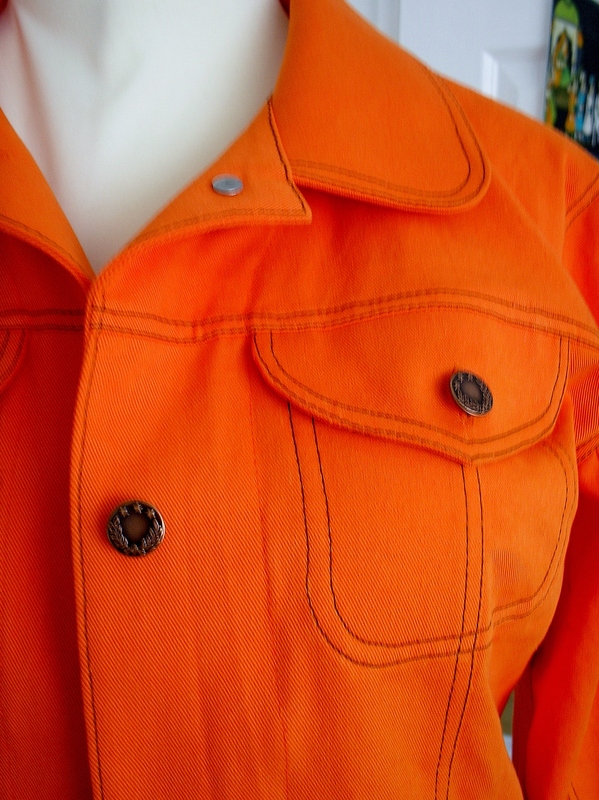 Now that the jacket has buttons on, and the total impression is given, I am not too concerned about the ‘correctional facility’ orange. It is pretty bright – no escaping that – but it will be fine if it is worn with a more subdued colour. The buttons (not studs as I had intended) look very good, and the buttonholes were beautifully worked by the old Singer hand crank machine with buttonhole attachment. Beautifully. Better than my computerized Pfaff would have managed despite costing way more than the old Singer. As I had the Singer out I decided to try the top stitching (with the upholstery thread I used) with the old girl. I did the jackets topstitching on the spare Janome machine I keep as I couldn’t get a really good tension on the Pfaff and needed to adjust the bottom tension to get a good(ish) finish. Even having spent a fairly significant time messing with the tensions on the Janome to get the result I wanted I really wasn’t 100% happy. As a result I am afraid I did get a little slapdash, so the topstitching doesn’t stand up to really close examination. Step up the old Singer. Without doing anything to the tensions (and I only changed the needle because I couldn’t physically get the thread through the eye!) the result was amazing. Truly amazing. I am never going to topstitch on another machine again. I know that Melissa had made a comment about the quality of topstitch she got from her old hand crank machine in her jeans post. So what did they know about building machines then that seems to have got lost? Singer on left Modern machine on the right. So, what did I get out of this Craftsy course? I don’t need to pin the bejaysus out of everything. I now have the confidence to use many fewer pins, even if not going ‘pinless’. Rotary cutters are much more useful than I thought. And a gift to sore joints. Frixion pens are wonderful. Really, really wonderful. A great new tool in my armory. My vision is worse than I thought! Thank you Janet Pray for bringing the magnifying visor to my attention. I have used these on a number of jobs since I had them delivered, and I can’t imagine being without them now. I no longer care about walking the house looking like an alien. 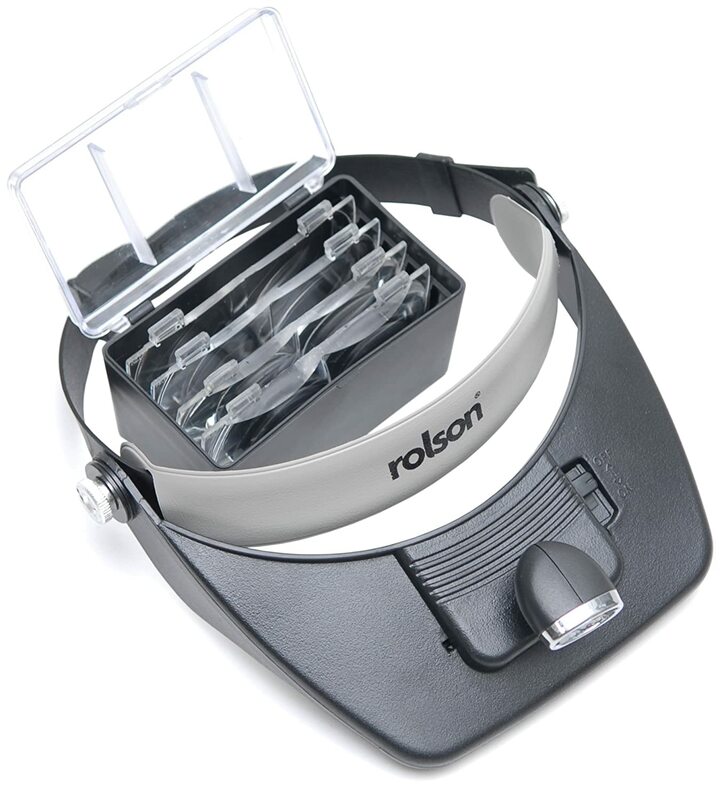 If I hadn’t learned anything from the sewing side the new knowledge about the Rolson magnifyer, and the Frixion pens alone would justify the cost of the course for me. I have sewn since childhood, but always ‘domestic’ methods, so it was good to see the way that Janet batched the processes so that you worked more efficiently. The booklet with the pattern gave most of the information needed to work in this fashion, but the video lessons were great. For anyone who is fairly new to sewing (though I think a certain amount of knowledge would be helpful) this is a great course. Even dinosaurs like me learned new tricks from it. 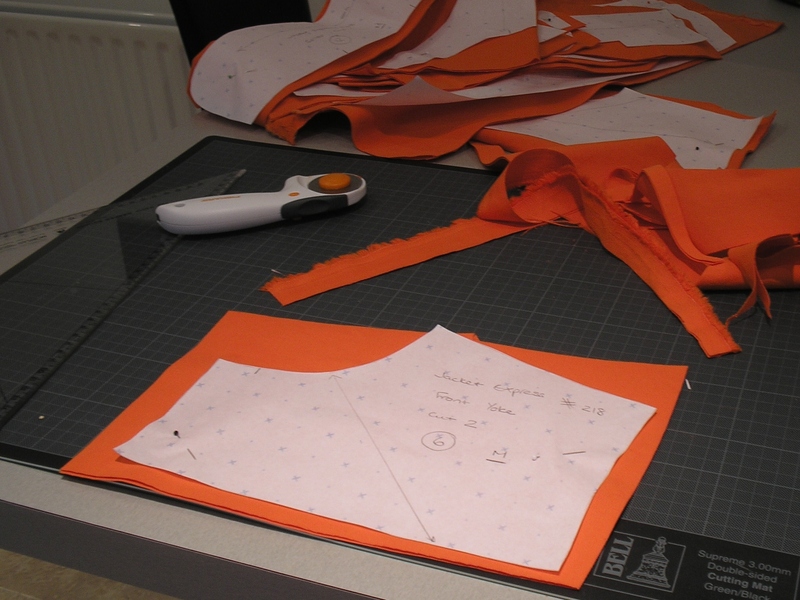 I have managed to make a start on sewing the jacket today – the Management was going to be home from work a little late so I decided to press on for a little while. Whilst I had decided which interlining I was going to use (an iron on cotton from stash) I hadn’t cut it out, so I made a start on the body and sleeve seams. 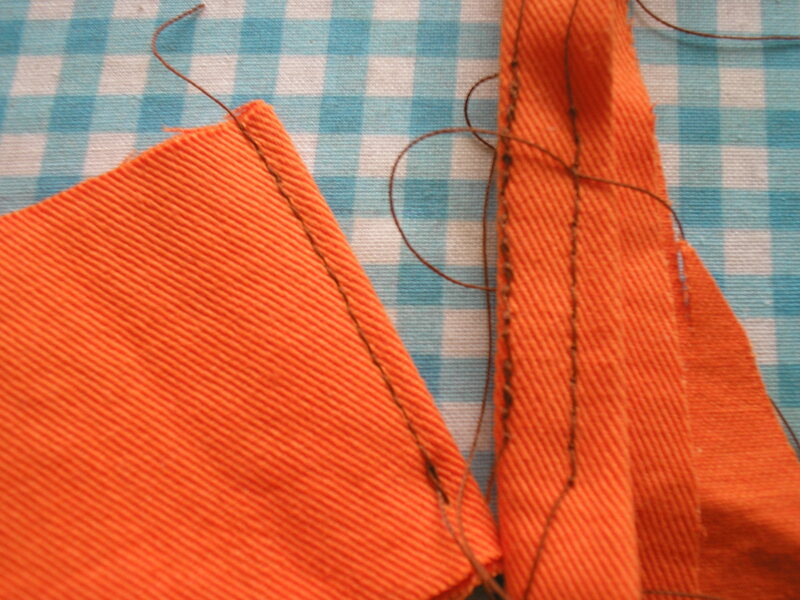 One of the main time saving elements that Janet is teaching in this course is the sewing of seams without using pins to anchor them. It took quite a leap of faith to try this but as I am using ridiculously cheap, and very forgiving, cotton twill I jumped right in. What a revelation! 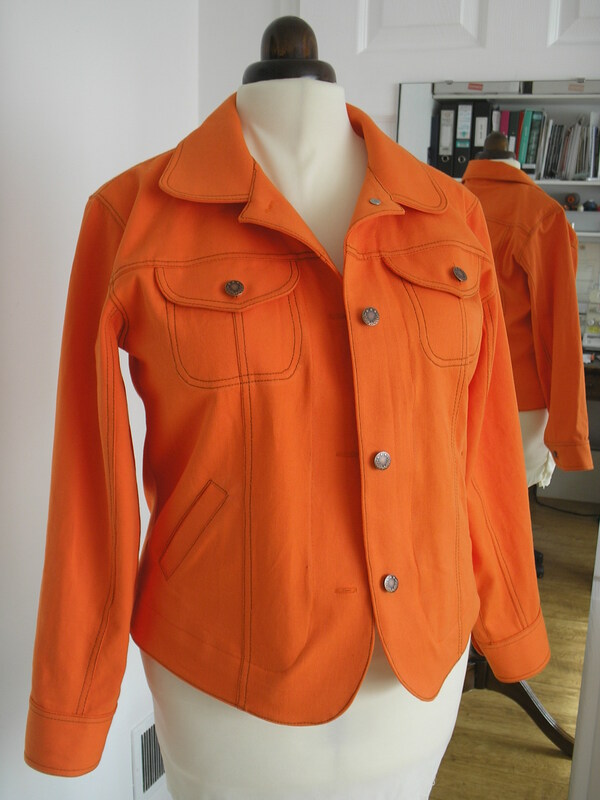 The main thing you need for this is confidence so making this particular jacket is going to help lots. 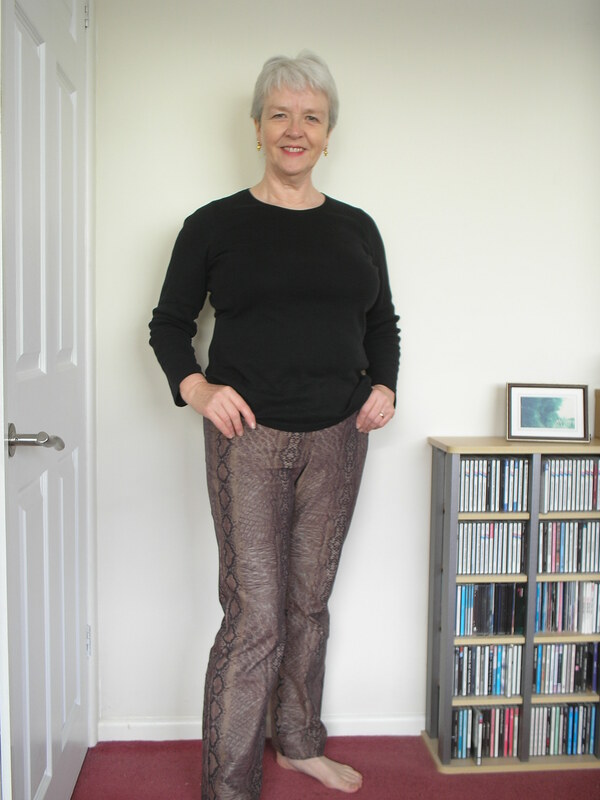 I, like many dressmakers, have grown to rely on pinning things into place – all of which slows things down in Janets opinion, and I have to say after today I would be inclined to agree. The seams went together easily, and without my finishing up with an excess on one or other layer. I would say that you are shown a very simple but effective way of holding the fabric on the Craftsy course which helps anchor the fabric well. It will take more practice before I would be prepared to ‘go pinless’ on an important or expensive fabric, but I could see how it might happen. I will almost certainly be using fewer pins in future. I managed to sew the sleeves and body pieces together, overlock (serge), and press them in what seamed like a very short time. 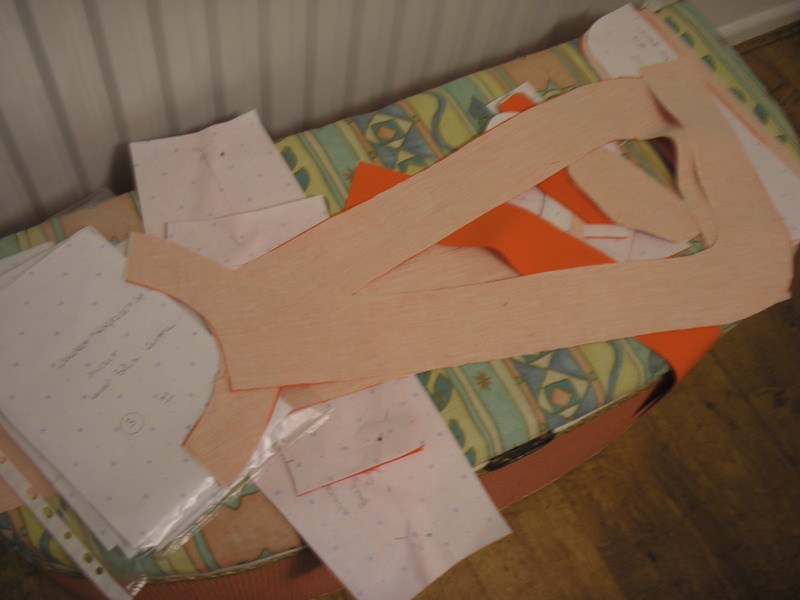 I have deviated a little from Janet Prays instructions, but having cut and fused all of the pieces that needed to be interlined ready for tomorrow, I will back track when I start again and get to the point in the instructions ready to start top-stitching. ….. but I got completely engrossed in other things. Yesterday I met a very warm and generous lady who replied to an appeal I made on the Freecycle network for a sour dough starter. Several people,including Tanya at Chica Andaluza and Nothing But Knit (clearly not just knitting!) have been making sour dough bread, and I was terribly envious. My own efforts at making a sour dough starter ended in dismal failure – hence the appeal on Freecycle. Janice Bell lives in Bewdley and runs Bread at Home courses, and very kindly gave me starters for both white and rye bread. Needless to say I started the ‘sponge’ as soon as I had cleared away tea last night and have continued the bread today. 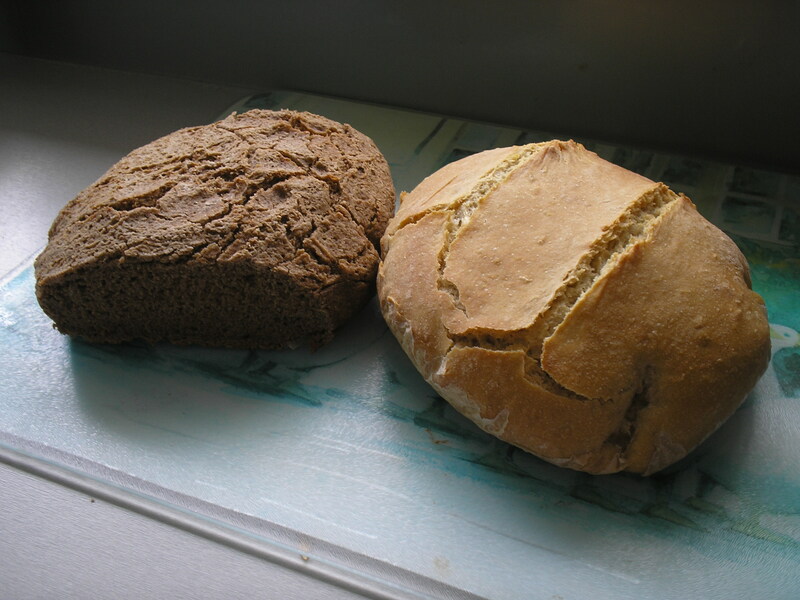 My house smells fabulous – and I am now stuffed full of samples from both loaves which I ate at tea time. Yummy. Sour dough loaves – no longer this big! In addition to making these loaves I have been gathering what I need for my next project. I am going to allocate an hour per day before I start work on client jobs to make this jacket. I bought the course from the Craftsy website to see what could be learned from someone who has sewn in industry, rather than just domestic sewing. I have made a start watching some of the lessons, and have already gained some new ideas (Fluxion pens are new to me – I can’t wait to try them out!). 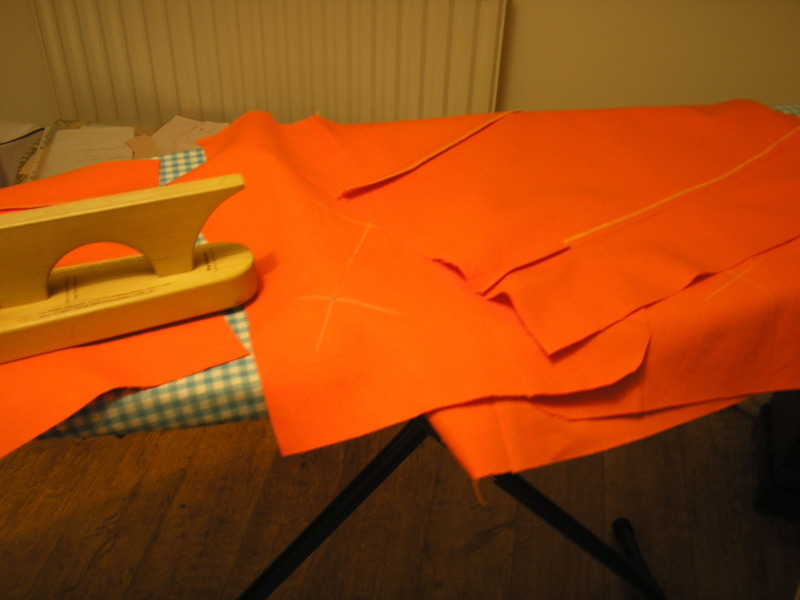 The cotton twill was bought a little while ago for peanuts from Birmingham Rag Market so if I don’t like the eventual outcome it won’t have cost a lot and hopefully I will have learned some new skills. All I need to start? I will show you how I am getting along through the week. If I eat much more bread I may need to cut a larger size!